California’s state government is offering a helping hand to small businesses. 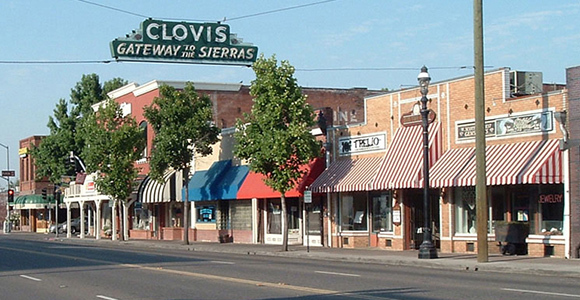 The Governor’s Office of Business and Economic Development (GO-Biz) held a small business summit in Clovis on Tuesday to help small business owners and entrepreneurs access resources to expand and add jobs. It was the first of a number of regional summits that GO-Biz plans. A second summit will be in San Francisco on December 10. Future summit dates in other regions of California for 2016 will be announced later this year. It’s no accident that GO-Biz has picked the Central Valley to start these summits. “It is part of a series of small business summits that will be held statewide,” according to Deputy Director for Small Business and Small Business Advocate Jesse Torres. “We are starting the summits in Clovis to help the center of the state continue to grow its economy and create jobs after the recession." The touring event program features presentations on the new California Business Portal, the Governor’s Economic Development Initiatives, the Office of International Affairs, the Office of the Small Business Advocate, California Business Investment Services, California Infrastructure and Economic Development Bank and local economic development resources offered by Fresno State University. An expo featuring local resource partners and other state agencies accompanies the event. The summit is free to the public. The engine of any economy is the development of small business. According to a story on Forbes, 65 percent of net new jobs since 1995 have been created in businesses with less than 500 employees. For California small business owners, a number of challenges exist including finding the workers skilled to perform those jobs. The 2015 California Economic Summit annual meeting will be held in Ontario on November 12-13. It is designed to address three major challenges vital to California’s prosperity. How we can save one million more acre-feet of water each year. The Economic Summit has attracted a large number of state leaders to discuss these goals including Lt. Governor Gavin Newsom, State Treasurer John Chiang, State Controller Betty Yee and Secretary of State Alex Padilla. Also speaking are University of California President Janet Napolitano and California State University Chancellor Timothy White. The Summit links leaders from business, government, civic, labor and environmental organizations in ways that seldom happen. More than 700 experts and practitioners work together on action teams committed to the top priorities of the state’s economic regions. For more information about the Summit including how to register, click here.